Despite prolonged economic challenges, businesses have to continue to find ways to improve competitiveness grow revenue bases and become more agile and resilient. This can be tough when working within a sluggish economy. While the UK has narrowly escaped the dreaded triple dip recession, the economic climate remains subdued. According to the latest survey released in April by accountancy firm BDO LLP, Britain’s economy will struggle to gain momentum until the second half of this year even though business sentiment and hiring intentions are improving. So where does this leave businesses? Pockets of optimism and growth do exist and businesses are continuing to make investments despite the lack of momentum in the economy. According to BDO’s latest national Business Trends report, the BDO Employment Index has hit a 19-month high. The Index, which measures businesses’ hiring intentions over the next two quarters, reached 96.0 in March. This is the third consecutive month that the Index has been at or above the crucial 95.0 level that indicates employment growth. The BDO confidence index also rose to 92.2 in March from 90.6 in February. In a similar BDO barometer survey undertaken in the Thames Valley in Q1, the results are even more favourable. Here the region appears to be bucking the trend against stagnant growth forecasts for the UK as a whole. Almost two thirds (65%) of the Thames Valley businesses surveyed have increased turnover in the past quarter compared to 46% in Q4 2012. Hiring intentions in the Thames Valley also appear strong with headcount expected to increase for 45% of respondents. So with regions like the Thames Valley showing such positive signs, the debate over whether to spend or save to strengthen the wider economy remains fierce. The Government’s austerity policy has come under continued criticism from many quarters, including business groups calling for a significant boost in infrastructure investment in the UK to help stimulate growth. In the latest budget we saw some action with the government announcing that an extra £6 billion a year will be allocated to housing and infrastructure projects. However many believe it won’t be enough and comes too late to make a real difference. Despite the uncertain economic environment and irrespective of potential government stimuli, businesses must continue to make smart investments to improve their operations – whether that be to drive efficiency gains, reduce costs, improve productivity or help the company to become more agile. For many, this will include making significant changes to their businesses and much of this will require major investments in new technology. Indeed, according to recent research carried out by Vanson Bourne, almost three quarters of CIOs expect to increase IT spending this year, with 10% planning ‘aggressive investments’ to improve their company’s competitiveness. Gartner also predicts an increase in IT spending – worldwide IT spending is projected to total $2.8 trillion in 2013, a 4.1 percent increase from 2012 spending. These are huge sums of money and it wouldn’t be unreasonable to assume that any organisation committing to such spend would do everything it can to protect that investment. And I think at the outset most organisations do, but unfortunately such programmes don’t always go to plan. Few organisations fully appreciate the scale of business change required and many don’t take into account the organisational structure, process and cultural changes that are needed to support a successful outcome. For any business change programme to succeed it is fundamentally important to understand the real drivers for change from the outset and to have unanimity of purpose across all stakeholders. If this doesn’t happen, significant tensions are likely to arise and these will threaten the success of the programme. For example, a programme initiated to improve customer experience whilst saving money will have very different dynamics if other, more influential stakeholders view the programme primarily as one designed to deliver cost savings whilst improving customer service. The two views may sound similar but having been the ‘meat in the sandwich’ on more than one occasion I can vouch for the impact such a difference of opinion will have from a programme management perspective. Involving a specialist third party to lead, shape and deliver such complex and strategically important change initiatives pays real dividends. The independence of being outside of the internal politics and pressures that such competing views generate brings an objectiveness that enables stakeholders to be challenged and agendas aligned, thus ensuring a clear line of site for the successful execution of the programme and, crucially, the realisation of the anticipated business benefits. In today’s heightened economic environment, investing wisely when your competitors aren’t will ensure that you stay one step ahead. However, it’s never been more important to ensure that any business, technology or organisational change programme is delivered successfully. With every penny under scrutiny failure is not an option. Though there might still be some pain along the way, investment programmes are much more likely to succeed when everyone is working toward the same goal. 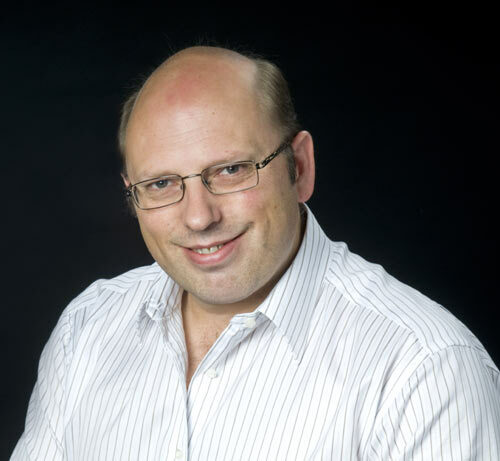 Charlie Mayes is a highly experienced Programme Director with an excellent track record of managing large-scale IT and business change to deliver tangible outcomes across many industry sectors including financial services, air transport, business support services and healthcare. He started his career at UK IT services company Data Sciences where he developed a full range of Systems Development and Integration lifecycle skills over several years working on complex technology projects. With this foundation, Charlie built his management career through roles in Project and Programme Management, Service Delivery, and in Sales, Bid and Business Management, in both Data Sciences and IBM Global Services. Since joining DAV Management in 1998, Charlie has successfully applied this wide range of technical, commercial and management skills in a variety of interesting and challenging consultancy and programme management roles. He is at his most effective leading complex change programmes or technology business operations and enabling organisations to translate their strategic objectives into realisable business benefits. He has played significant leadership roles for a variety of well-known clients including Thomson Reuters, Monarch and Alfred McAlpine and in the past 4 years has successfully delivered a number of high profile technology enabled business change programmes, with a collective value in excess of £300 million. Charlie has been Managing Director of DAV Management since 2007.